We are a leader of new generation metal strip materials in the worldwide , and we are always using advanced technology to innovating traditional metal strips. Until today, we developed a claded precision metal strip (also known as composite metal strip), it changed single or few characteristics and advantages base on a metal . After clad processing,these clad materials integrated different advantages, so that a metal strip can reach two or more characteristics suitable for a wide range of complex working conditions. 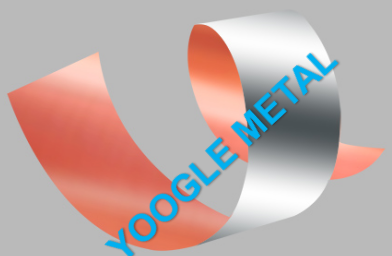 With the fast development of technology today, Yoogle new generation strip materials will find out more solutions for your requirements. We seek to gain exhaustive knowledge of the relative advantages of different metals, and to develop technologies for extracting those advantages. By combining the strengths and features of various metals, we create the new metal materials with superior properties. We offered products do not expense of the environment, and the environmentally friendly process is our direction in the futue of development.